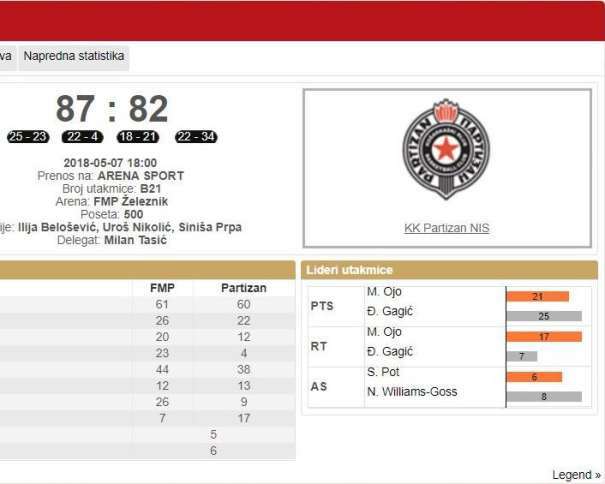 FMP defeated Partizan in the Round 7 with a score of 87 – 82. 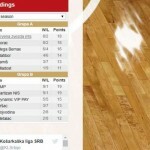 Vršac won 103 – 85 against Vojvodina and Metalac managed to score their first win against Dynamic. The final result of that match was 84 – 90. In the derby of the round in the Group B, the team from Železnik took the victory against the Black and Whites and matched them as leaders of the group. 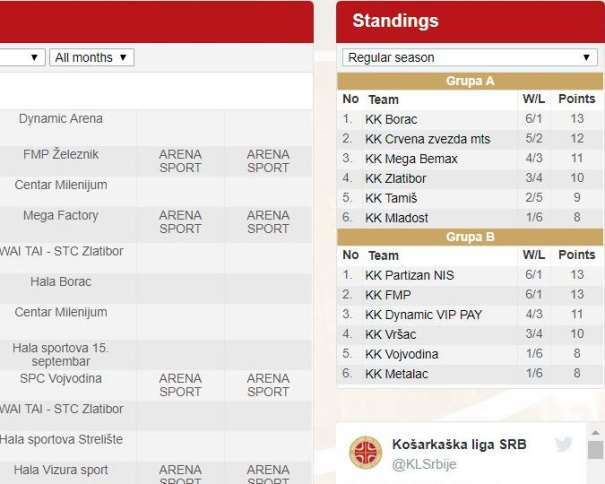 Both teams now have one win and one loss in the matches against each other, but the difference in the first game was 4 points (94 – 90) for Partizan and in the Round 7 FMP had 5 points difference. After the first half the home team had 20 points difference, but Nenad Čanak’s squad managed to get close but not enough for celebrating. The key difference were the rebounds (45) of FMP players, and especially in offense (17). On the other side, Partizan only had 27 jumps (18 in defense and 9 in offense). Michael Ojo scored 21 points for FMP with 17 rebounds, while his teammate Marko Jeremić had one point less. Nemanja Nenadić finished the game with 16 points but with also 7 turnovers and the last double-digit scorer in FMP Železnik was Boriša Simanić with 14 points. In Partizan, only two players made more than 10 points. Đorđe Gagić was the best one with 25 points and 7 rebounds, while Nigel Williams-Goss had 18 points and 8 assists. It would not be a mistake if moto of the league were “Another round, another 100 points”, because this time Vršac had 103 against the team from Novi Sad, that finished the game with 85. Miroslav Pašajlić was the player of the match with 27 points and 6 assists, Danilo Ostojić scored 16, while two players in Vršac had 11 points each one, Stefan Đorđević and Stefan Momirov, and other two finished the game with 10 points, Nikola Pavlović and Stefan Mitrović. 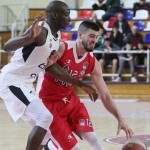 Three players had double-digit score in Vovodina: Dejan Janjić (20), Nikola Silađi (18 points and 9 rebounds) and Teodor Atanasov (11). In the last game of the round and group B, Metalac finally scored their first win in Super liga. The team from Valjevo was better than Dynamic with a score of 84 – 90. Nenad Nerandžić was the best one with his double-double (22 points and 13 rebounds), while Filip Zekavičić scored 18 points for Metalac. Mladen Pavlović had 17; Josip Mikulić, 15; and Đorđe Kaplanović, 10 points. In the home team, Nemanja Krstić scored 17 points with 7 jumps. Marko Radonjić and Andreja Stevanović had 14 each one and Miloš Milisavljević finished the game with 10 points.